Did you know that our feet contain around 250,000 sweat glands? Now, that's a whole lot of sweat that can turn into a whole lot of stink! Keep your shoes smelling fresh and clean with this all-natural sole secret that will change your life. 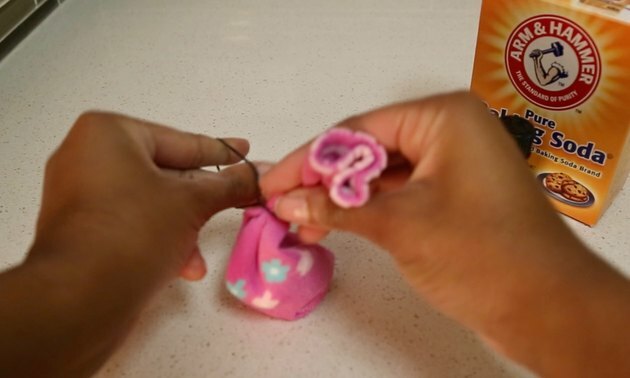 Take your shoes from foul to fresh with this simple, budget-friendly hack. 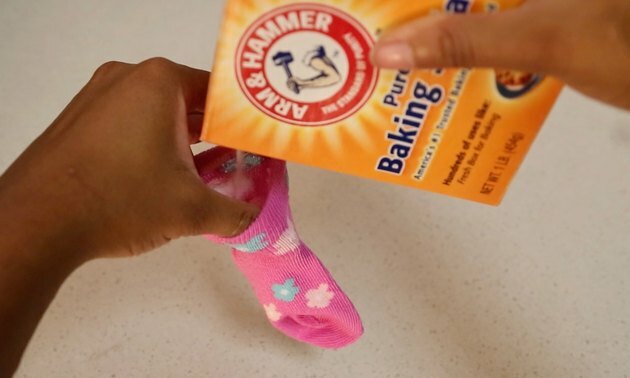 Carefully fill the baby socks halfway with baking soda. Add a few drops of essential oil to the baking soda. 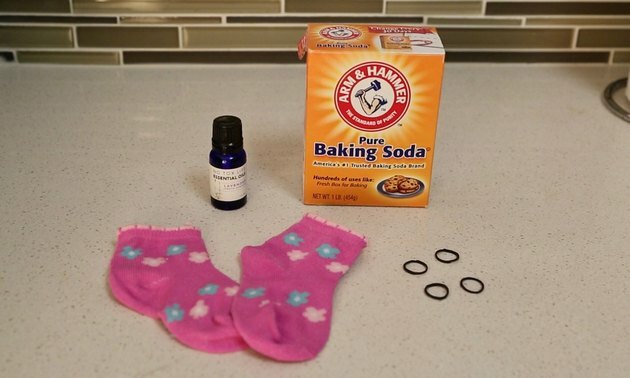 Secure the socks closed with rubber bands and lightly shake the baking soda around to evenly distribute the essential oil. Insert the scented socks into the shoes and let sit whenever you're not wearing them. Say farewell to that foul stench!